Perth will be the venue to host a “first” for Scotland at the end of October with the 2014 World Blackball Pool Championships being held in the city’s Bells Sports Centre. 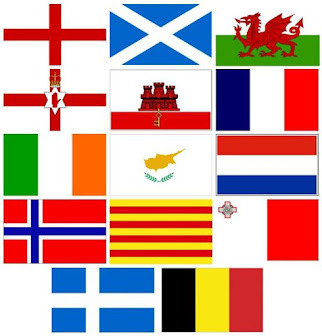 With around 700 players from 18 countries around the globe converging on the city, the organisers of the event, ISP Scotland, won the bid to host the biennial Championships in Scotland for the first time in the event’s history ahead of Malta and France. 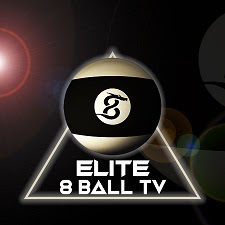 Michaela, who herself is the No1 cue sports referee internationally and a known sporting media celebrity, added “The event is being televised on Sky Premier Sports at certain points (bottom of page) during the championship week, however, it is a free event for fans of the sport to attend to spectate and the venue will have a 750 seating capacity for the week. 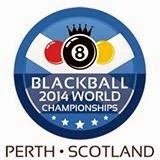 With teams and individuals having been chosen by their home countries, the World Blackball is set to be a highlight in what is a major year of sport for Scotland”. He added “The number of players and their supporters staying in Perth city centre during the week of the championships can only be beneficial economically to all local businesses and venues. With the World Blackball taking place only a month after Perthshire hosting the Ryder Cup, I think we can fairly say the Fair City is on the map as a sporting destination of choice”. The championship starts on Sunday 26th October and ends on Friday 31st with last qualifications for certain categories on Saturday 25th. 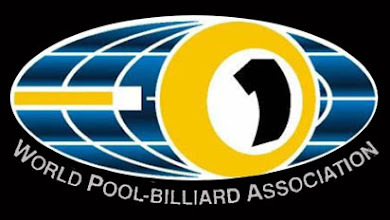 The qualification rounds on the Saturday are open for anyone to enter and it offers an ideal opportunity for local pool enthusiasts to grab their cues, get some practice in and attempt to achieve their sporting dreams. 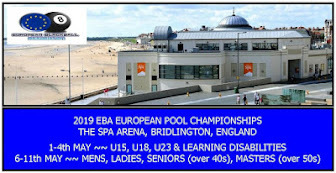 It is scheduled to be shown live on the Premier Sports Channel 428 and the Virgin Channel Thursday from 4pm until 11 pm and Friday Finals from 12 noon until finish at 7-8 pm. It will also be live on You Tube.